No matter when your home was built or what the physical configurations are, the Unico System will provide the highest performance heating and cooling comfort. With little or no remodeling required for installation, you’ll be able to maintain the integrity of your home, while enjoying many advantages over conventional systems. Have radiator heat? No problem – the Unico System is designed to fit where other systems can’t. The flexible ducts can be routed through existing cavities in ceilings, walls or floors. The modular air handlers and coils can be easily installed into ceilings, crawlspaces or closets. UNICO offers more air handlers and air-towater chiller options that any other high velocity manufacturer in North America. UNICO manufactures air handlers from 1 to 5 ton capacities that uses both DX and hydronic coils to heat and cool your structure. The Unico System ACB is the finest and most versatile fan control system on the market. Its remarkable compatibility with refrigerant-cooling (AC) systems, refrigerant heating (heat-pump) systems, chilled water systems (including all UniChiller and UniChillerRC products), hot water systems and electric heat modules, allows control of any practical combination. For those who would like to have a professional assist them with high velocity duct design and layout, our UNICO Design Services Department is here to help. UNICO has the ability to provide custom, high velocity duct design based on your structures unique layout. Just send us your prints and complete the necessary support information online, and we will provide you with a design. UNICO products are designed for both commercial and residential applications in both the historic and new construction market space. With both Dx and hydronic solutions available we have the products that will provide superior heating and cooling for your structure. And all our products are UL, ETL, CE, or CCC approved. Small duct high velocity systems can be retrofitted in building where conventional duct work simply cannot be used. Despite the high velocity output, UNICO systems are quiet and do not produce drafts. 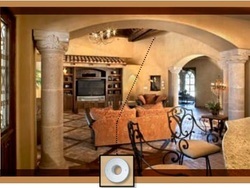 Conditioned air is diffused at the duct and distributed evenly through out the room. UNICO systems are also the perfect solution for new construction as well, greatly lowering the labor cost involved in constructing and installing traditional duct work.